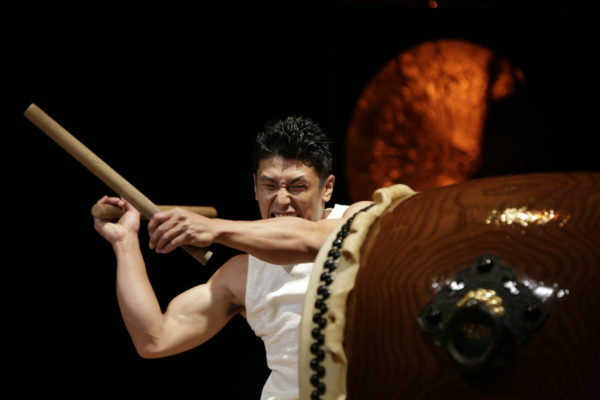 Naturally, I have a real soft spot for playing O-daiko (the big drum). 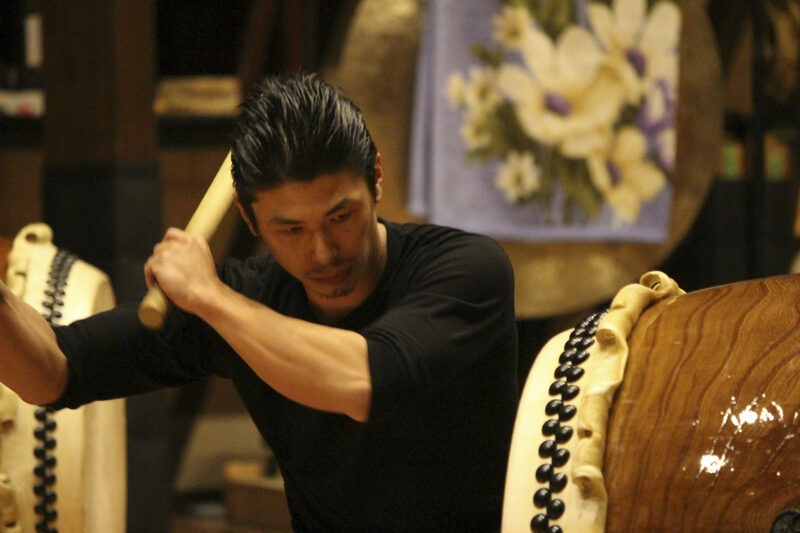 But recently, I realized that Miyake (Miyake Taiko) is also very important to me. Back when I had just become a Kodo member, I made it on to my first big tour because I was given the chance to play Miyake. For a time back then, all I played was Miyake and I didn’t practice anything else, which meant I didn’t get to perform much else. Perhaps I realized that when I was playing a Miyake solo, I could let myself “explode,” let myself go wild. When I was new to the group and couldn’t do anything well, Tomohiro [Mitome] and Yosuke [Oda] used Miyake as a tool to open my eyes. Later on, there was a time when I felt a sense of failure, and wasn’t sure which way to turn. Kazu (Kazuhiro Tsumura) from Miyake-jima Geino Doshikai, who was in the same Kodo apprentice cohort as I, said “Come on, let’s play Miyake together.” And with that invitation, I went to see the Tsumura family. 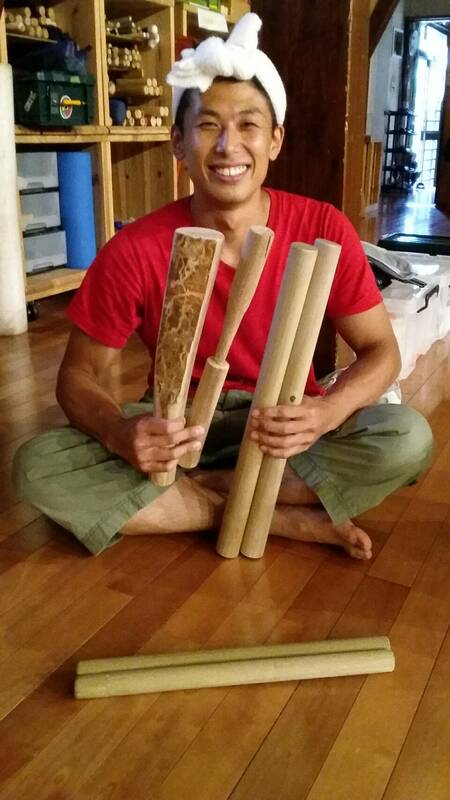 While I was there, drumming like crazy, I started to feel better, and more and more positive. I also felt reawakened by the Tsumuras’ explosive sound. Anytime I am not feeling good physically, playing Miyake makes me feel better again. 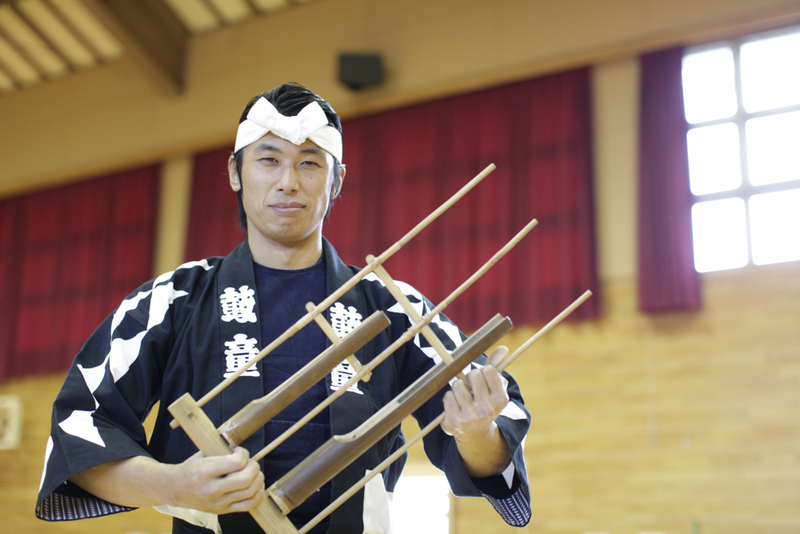 And anytime something new is about to begin, the chance for me to play Miyake seems to arise out of nowhere. I heard Yuta [Sumiyoshi] was going to direct a production for the first time. 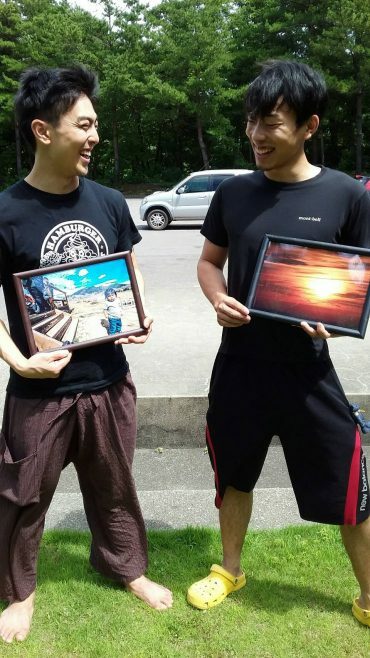 He said to me , “Let’s do something together,” and he asked me to arrange and play a new arrangement of Miyake. That arrangement became a whole new piece, Saien, which we created as our own take on Miyake. When I look back on my journey, taiko has trained me and guided me to where I am today. I feel fresh and new as we create this brand new work, “MEGURU,” but at the same time I can feel Miyake on my mind and in my bones. On Oct. 7, we welcomed the Myojo Gakuen Wadaiko Club to perform as our special guest at the “Kodo Interactive Performance” at Mitaka City Public Hall in Tokyo. 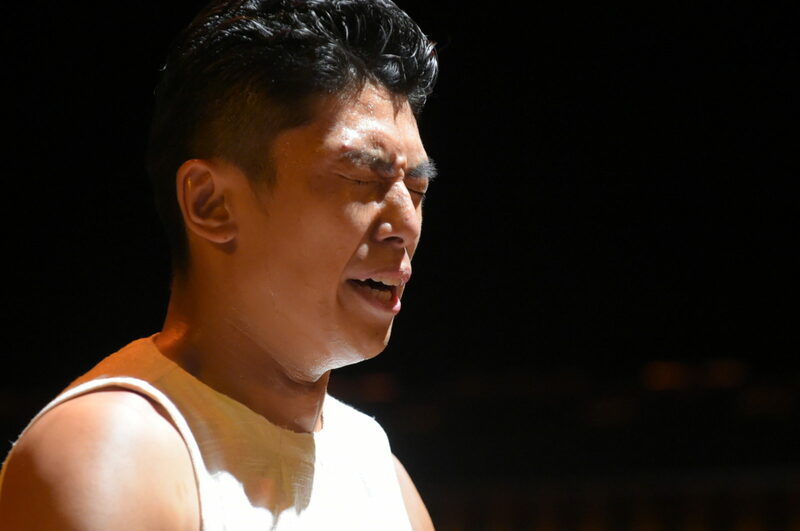 Myojo Gakuen is the alma mater of cast member Kenta Nakagome. Here is a message Kenta wrote in the lead up to the performance. All of a sudden, thirteen years have passed since I graduated from high school. 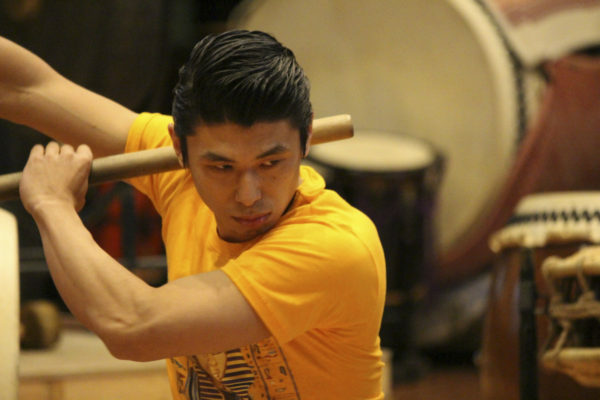 I look back and wonder how I felt back then when I played taiko. 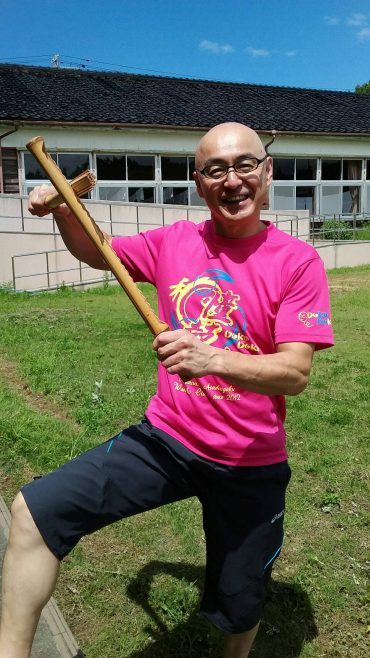 I went to Myojo Gakuen because I wanted to play taiko, and naturally that is the reason I moved to Sado Island, too. 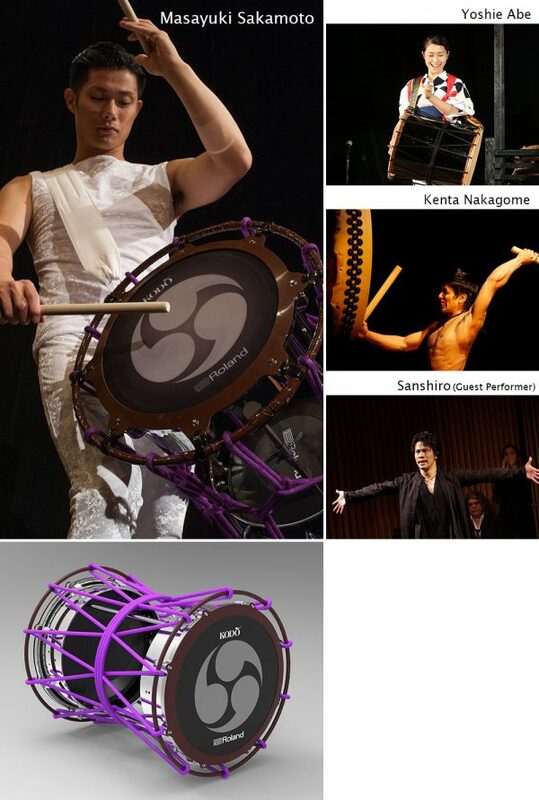 and I wonder how Kodo’s performance and sound will resonate with them. 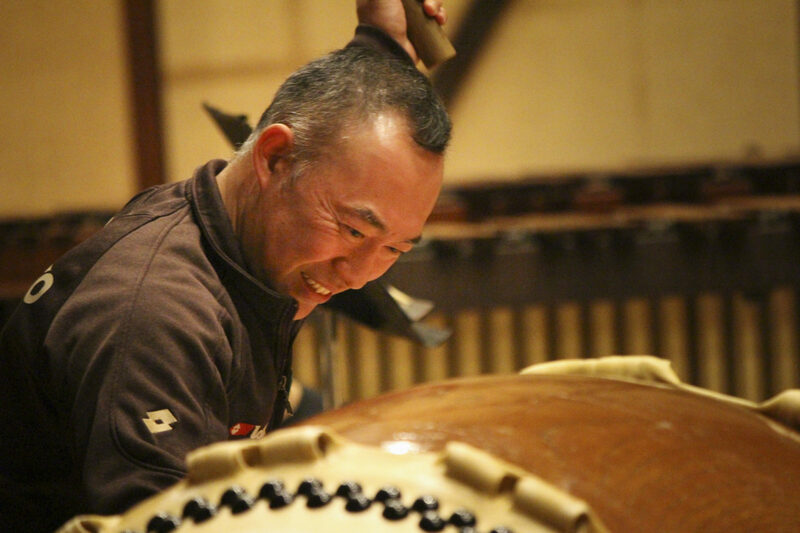 I am happy to be able to return to this familiar place to play taiko. I hope everyone who joins us there will enjoy the unique sound we create together with our drums and hearts. This electric, energetic mid-summer performance with Yoshie Abe, Kenta Nakagome, and flamenco dancer Sanshiro is going to be hot, hot, hot! Performing with this new drum will be an experiment and a world first. I don’t know how it’s going to go, which makes it all the more exciting! Come and witness this on-stage trial for yourself at EC. I’m looking forward to sharing this instrument and performance with you all! 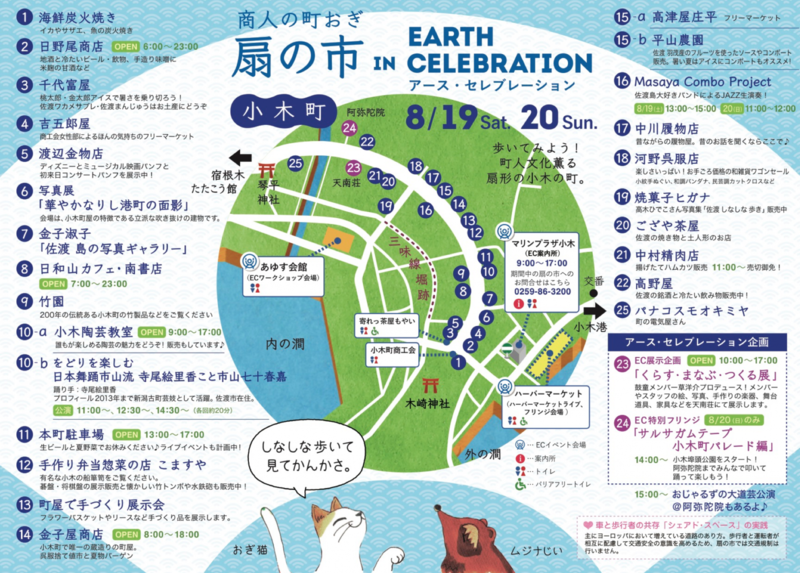 Earth Celebration 2017 begins this weekend! 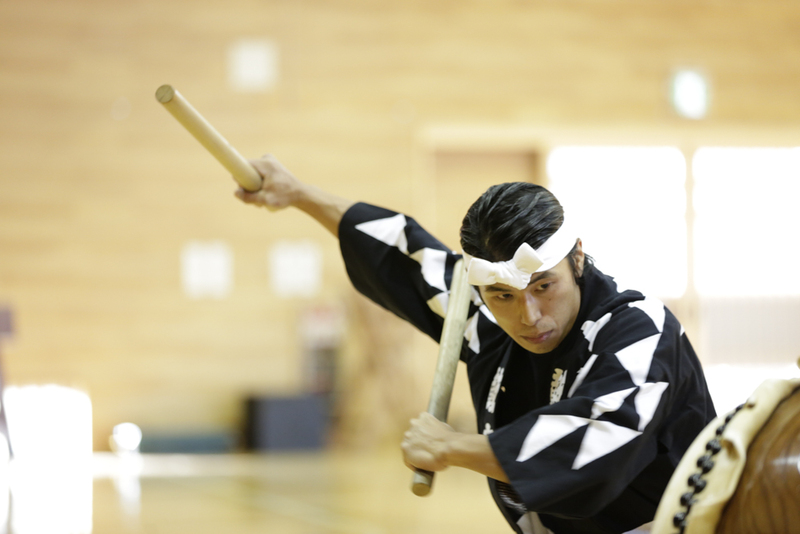 One of the events at EC 2017 this year is Kodo’s free-admission “Living, Learning, Creating” exhibition at Tennanso in Ogi’s main shopping street. 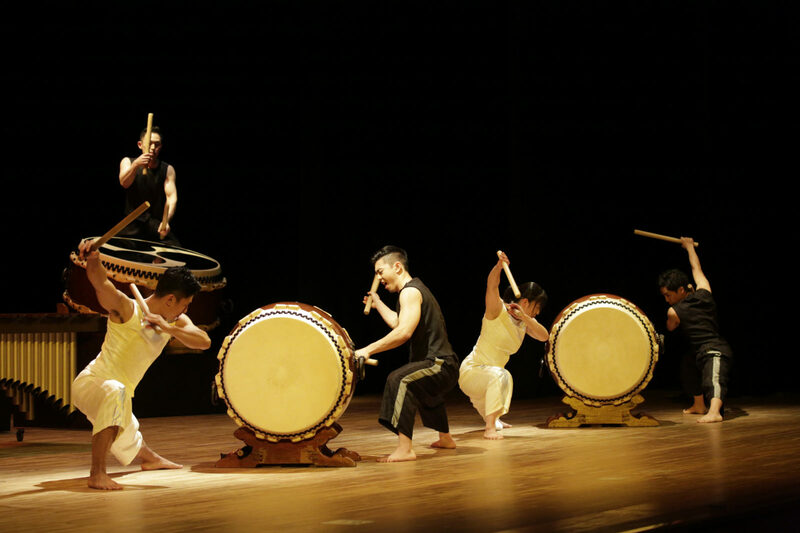 Kodo performers and staff will share a range of things they made by hand, including stage props, instruments, and furniture, alongside photos they took while they were on tour with Kodo. Today, I would like to share a sneak peek of some of the items that will be on display. ▼ Eiichi Saito’s suri-zasara, a percussion instrument made from bamboo that is played by rubbing a whisk-like beater along a long notched rod. Yoshikazu Fujimoto, Tomohiro Mitome, and Yuichiro Funabashi will also have their handcrafted drumsticks on display. 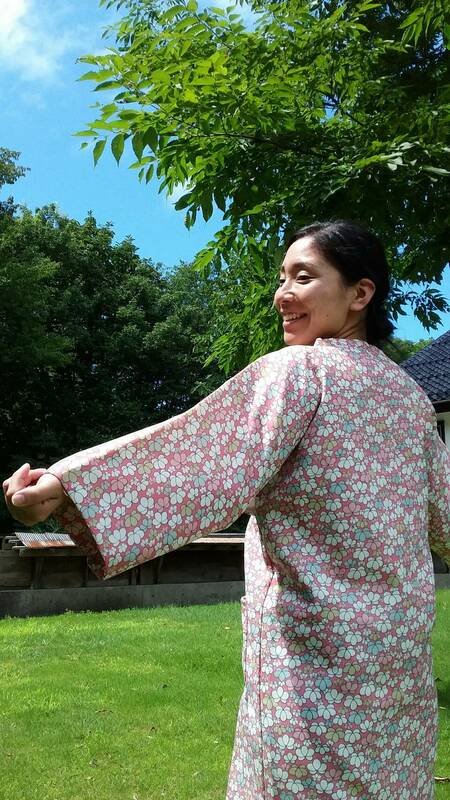 You will also see sashiko embroidery by Kiyoko Oi, an okedo-daiko made by Maya Minowa…and much more! We look forward to showing you a different side to Kodo than what you see on stage. Please come along! ▼ The exhibition will be held at Tennanso, which is marked “23” on this Ogi map. *During EC, the shops numbered on this map will hold a special market-place event. We hope you’ll take the time to stroll along the shopping street and enjoy the special goods and delicacies the town has to offer.